This moderate, 4-mile hiking trail has an elevation gain of only 900 feet. It is well known for the variety of magnificent trees. The trailhead is on Caldwell Fork Trail. After leaving Caldwell Fork, the trail ascends a low ridge to a gap, slabs (runs across the mountain slope with only gradual elevation change) the mountainside with only two additional short climbs, reaches a side ridge, and descends back to Caldwell Fork. 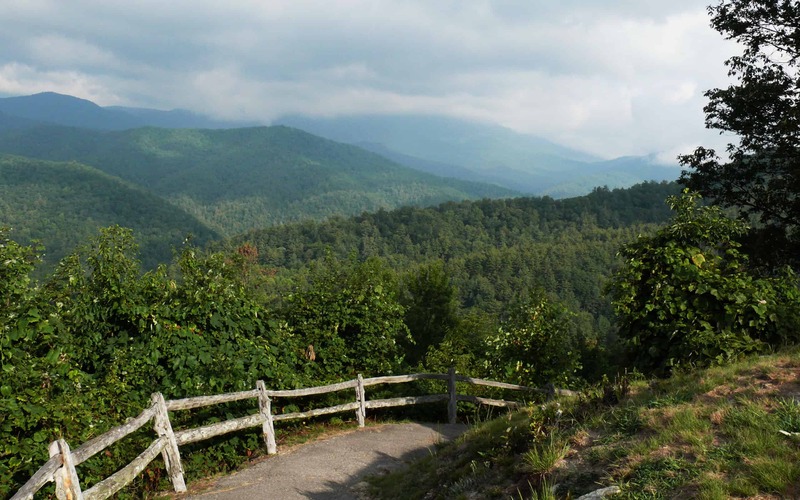 It is best to do this trail as a day hike from Cataloochee Campground, a 7.5-mile roundtrip.